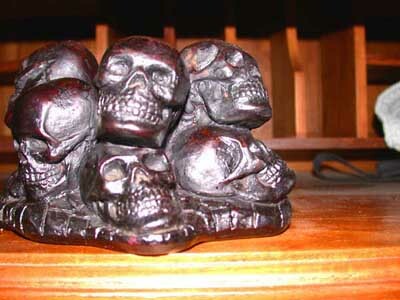 Great as an ashtray, candle holder, or dish, highly detailed. This is a unique piece, beautifully detailed with the rich color of resin. 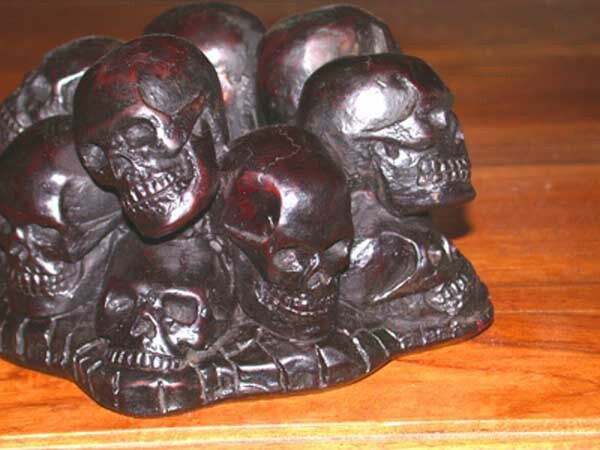 There are 13 skulls. This is a very unusual piece and the craftsmanship is beautiful. Size is 6" x 3 1/2" with a bowl in the middle to hold whatever you choose. 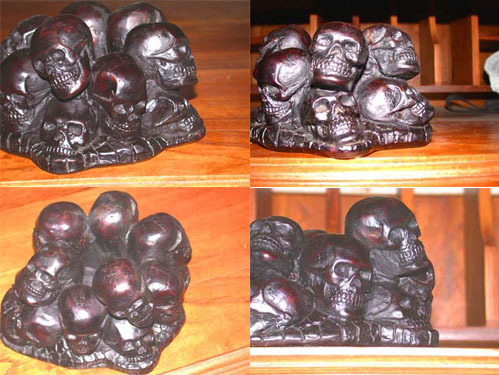 This is a unique piece beautifully detailed with the rich color of bone resin. 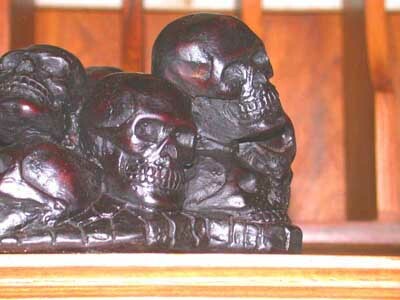 There are 13 skulls. This is a very unusual piece and the craftsmanship is beautiful. Size is 6" x 3 1/2" with a bowl in the middle to hold whatever you choose. 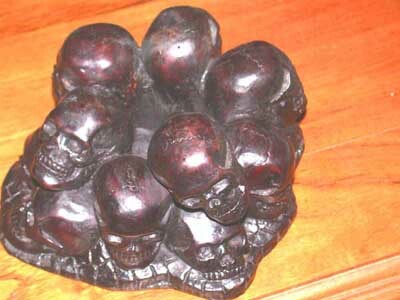 I use one as a stand for one of my monkey skulls. This piece is heavy and durable and was acquired in Cambodia.